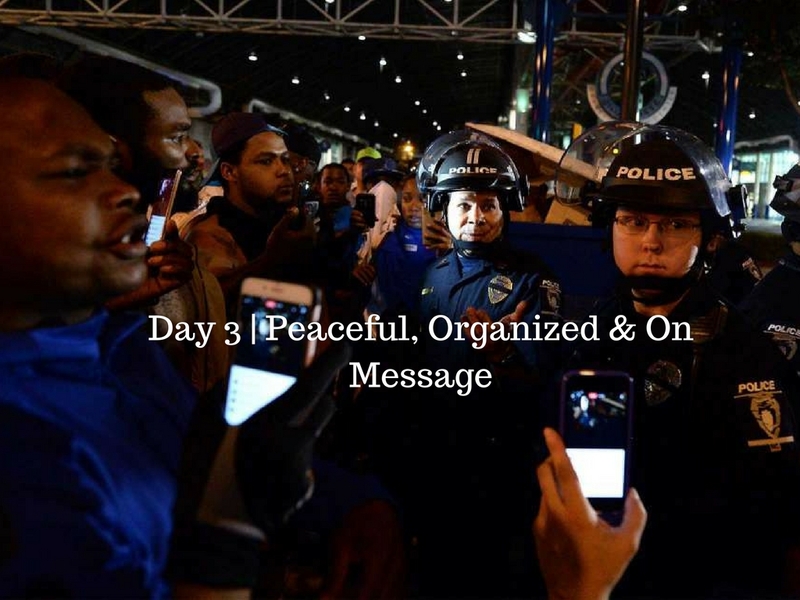 Directly following the looting and rioting that occurred the first night, the City seemed to come together to peacefully protest the officer involved shooting and subsequent death of Keith Lamont Scott. Charlotte is a great City and I believe that everyone here was surprised by the violent protesters looting and destroying this City that we all love. This is the City where the Charlotte Hornets and Carolina Panthers Play. The City where so many of us go on the weekends to blow off steam, either at the Epicenter or any of the other Bars or Venues about town. To see a curfew imposed and the National Guard called in was truly surprising to say the least. However, it is also inspiring to see peaceful protesters of all nationalities and backgrounds protesting the injustices that continuously occur by Police upon people of color. Ultimately we are living in a tumultuous time were political divisiveness and racial injustice and inequality have come to a head. However, the unity displayed on this third night by Atlanta protesting in unison was an outstanding testament to the commitment the public has to the continued fight for change. Salute to all of the peaceful protesters. This entry was posted in Blog and tagged Carolina, Charlotte NC, events in Charlotte nc, Fatal Shooting, Hip-hop, Hip-Hop Culture, Keith Lamont Scott, North Carolina, officer Involved Shooting, South Carolina on September 24, 2016 by admin.